The AOR AR-Alpha II B builds on the design and capabilities of the original AR-Alpha. It is designed to meet the increasingly complex needs of monitoring professionals. Continuous coverage from 10 kHz to 3.3 GHz (less cellular frequencies). Digital signal processing is employed at both the IF stage and demodulating stage. Fast frequency processing is achieved by means of FFT. Dual communications ports on the back panel support both RS-232C and USB connection. Modes of reception include: WFM (in stereo selectable de-emphasis), NFM, AM (Synchronous AM, diversity synchronous AM), ISB, RZSSB, USB, LSB, CW, P25, Video (FM, AM NTSC/PAL). On the the key differences in the new Alpha II version is the addition of ten new digital modes: APCO P-25 (Phase I & II), D-CR, DMR, Mototrbo, dPMR, NXDN, TETRA, Alinco EJ-47 GMSK, D-STAR and Yaesu FUSION. A new DALL function automatically determines the digital mode. Amazingly, it supports stand-alone I/Q recording and playback! No computer required! A wide range of IF filters are available: 200 Hz, 500 Hz, 3 kHz, 6 kHz, 15 kHz, 30 kHz, 100 kHz, 200 kHz, 300 kHz. The AGC may be set for FAST, MEDIUM, SLOW and OFF. A stunning 6 inch diagonal high resolution TFT color display supports spectral display (with water fall) as well as video reception [but not broadcast TV]. The spectrum display can show up to 1 GHz of bandwidth! This 19 inch wide radio can be employed in both base and field environments. The Alpha requires 13.8VDC at 4 amps. 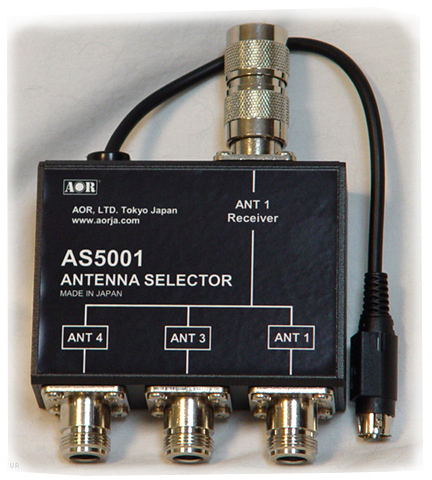 The back panel features two antenna inputs: ANT 1 (N), ANT 2 (SO239). There is 10.7MHz (BNC) output jack. Other jacks include: AF Out Right and Left (RCA), Mute (RCA), External Speaker (3.5mm mini) and Accs. 2. The Alpha comes with rack ears for mounting the radio in a standard 19 inch rack. The AOR AR-Alpha II U unblocked version can be purchased for government or for export only. Please allow 2-3 weeks for delivery on this special order item (not available via on-line ordering). This device has not been approved by the F.C.C. This device may not be offered for sale or lease or be sold or leased until approval of the F.C.C. has been obtained. The information shown is preliminary and may be subject to change without notice or obligation. The image shown is a prototype. AOR has not yet announced pricing or availability. NXDN is a trademark of Icom Incorporated and JVC KENWOOD Corporation. dPMR and the dPMR logo are trademarks of the dPMR MoU Association. MOTOROLA, MOTOTRBO, are registered trademarks of Motorola Trademark Holdings, LLC.